EMILIO BUTRAGUEÑO ALWAYS LOOKED LIKE HE SMELLED NICE. Although nicknamed the ‘Vulture’, he was the pretty footballer who played pretty football back in the hearty days of muddy pitches and agricultural tackles. His unassuming blue eyes, his light curly locks and his perfect Colgate smile meant he looked more like Steve McQueen than a striker for Real Madrid, yet Butragueño made it at the biggest club in world football, withstanding the club’s morbo for 12 years. In actuality, Butragueño probably did smell nice. His father, also named Emilio, owned a perfume store in the centre of Madrid, just off the capital’s pulsing vein of Gran Vía, and it was there that the family earned their middle-class income. Young Emilio never had it all, but he never wanted for anything either. He studied at the prestigious San Antón School, before transferring to the private school of Calasancio when his family moved to another part of the city. It was at Calasancio that his passion for sport grew, first in basketball and later in football. His progress was overseen by gym teacher José Antonio Sacristán, a keen Real Madrid fan who was determined to see his protégé wear the famous white shirt. His father was also a Real Madrid member. The club, though, had other ideas. They didn’t scout him as often as Atlético Madrid did and then they didn’t pick him from the 40 or 50 kids who participated in Butragueño’s first Real trials. “We’ll call you,” they told him. It was Atleti, however, who made a serious offer in 1981, one which the teenager felt he had to consider and which led him to train in red and white for three days. “But son, how could you play for Atlético Madrid?” his father asked him one evening. “I cannot let it happen.” And so, Emilio Sr. used his contacts within the club to arrange for another trial. This time his son was accepted into the Real academy. The rest, as they say in Madrid, is “historia que tú hiciste”. The history that Emilio made. The youngster duly obliged. He then played, and played superbly. On the hour mark, just 15 minutes into his senior Real career, he scored, firing the ball into the bottom corner from outside the box to pull the scores back to 2-1. 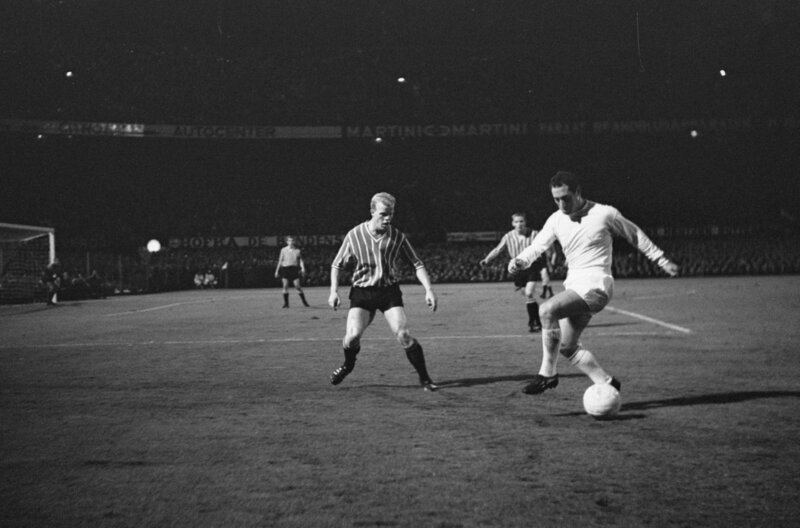 With two minutes remaining, Ricardo Gallego netted the equaliser, before Butragueño pounced on a rebound from a Juanito shot to stab home the winner one minute after that. “It’s amazing,” the handsomely dressed youngster told television cameras after the match. 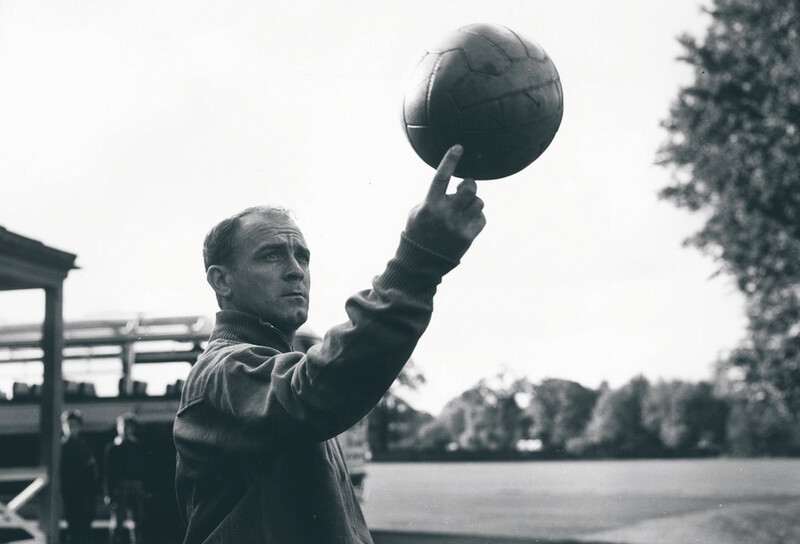 “It’s as if somebody up in heaven decided this had to happen.” Given that Real Madrid fans consider Di Stéfano a God, there certainly had been some divine intervention, and the coach decided to keep Butragueño with the first team for the rest of the season, in which the striker made nine more appearances and bagged a couple more goals. He’d also scored 21 for Castilla that season, which, quite incredibly, made him the Spanish second division’s second top scorer, even though he only participated at that level up until his promotion to the senior squad in February. Those goals helped Castilla to win the second division that year, the only time in history a club’s youth team has done so. Of course, they were not able to claim their promotion given the first team’s presence in the top flight. It wasn’t all Butragueño, though, as there was plenty more talent in that Castilla squad, and ultimately in the Real Madrid first team. Specifically, there was Manolo Sanchís, Rafael Martín Vázquez, Míchel and Miguel Pardeza, the four men whose careers were inked and linked with Butragueño’s, ever since journalist Julio César Iglesias coined the term ‘Quinta del Buitre’. In an El País article from 14 November 1983, Iglesias used Butragueño’s phonetically-derived nickname of Buitre – Vulture, in Spanish – and the word Quinta, which relates to military service and refers to those who come through together at the same time, to christen Spain’s answer to the Class of ‘92, almost a decade before Manchester United’s fabled sons began shining so brightly. In any case, the Vulture Class was born. Iglesias was clearly besotted with these five rising stars, and most of Madrid soon was too, so much so that the B team started playing some of their matches at the Estadio Santiago Bernabéu, even attracting over 80,000 fans for a clash against Athletic Club’s youth team in December of that year. Soon the quintet was playing in front of a packed Bernabéu on a regular basis. All of them minus Míchel turned out for the first team in 1983/84, with the midfielder then making his own debut – he had actually played for the seniors once before during a player strike in 1982, but he considered this his true debut – in the first game of the 1984/85 campaign. While they finished a disappointing fifth in the league that season, 17 points behind Barcelona, it wasn’t a terrible year, as Real Madrid scooped up their first UEFA Cup, with Butragueño scoring four goals en route. They also won that year’s edition of the short-lived Spanish League Cup. The league titles would come before long, though – five of them in a row. Although they were a quintet, Butragueño only actually played at a senior level with Michel, Sanchís, Martín Vázquez and Pardeza on one occasion, in a 1986/87 Copa del Rey semi-final against Atlético Madrid. Pardeza never really made it in the seniors and soon moved to Real Zaragoza, which explains why the first photo to appear if you type Quinta del Buitre into Google is one of Pardeza in a Zaragoza shirt, standing next to his four friends, still in their Real Madrid colours. Iglesias, the El País journalist, later admitted he had wanted to make his article about a group of five players for the sake of the narrative, so Pardeza had only just made the cut anyway, with Francis Rodríguez nearly included instead. Yet the four who did cement their spot in the Real Madrid XI achieved so much. At the end of that sweet and sour 1984/85 season – in which they won two cups, yet came fifth in the league – Luis Molowny took over and things truly began to click. Hugo Sánchez’s arrival had a lot to do with that, as he moved across the city from Atlético Madrid in the summer of 1985, after a move to Barcelona fell through at the last moment. With Pardeza on loan in Zaragoza ahead of his permanent move, Sánchez became the fifth member of the Quinta, even if he was a purchased foreigner rather than a Madrid-born youth graduate. Along with Newell’s Old Boys youth product Jorge Valdano, who had arrived the previous summer, Sánchez fired in the goals. The Mexican scored 22 that year and the Argentine bagged 16, but Butragueño reached double figures too, even at the tender age of 22. Real Madrid stormed to the title, finishing 11 points and eight victories ahead of second-placed Barcelona. That ended a six-year drought, their longest in three decades. From famine to feast, Real Madrid added to that title the following season, coming up with a sequel as good as Lethal Weapon 2 a couple of years before the film was even released. The team improved and Butragueño got even better too. 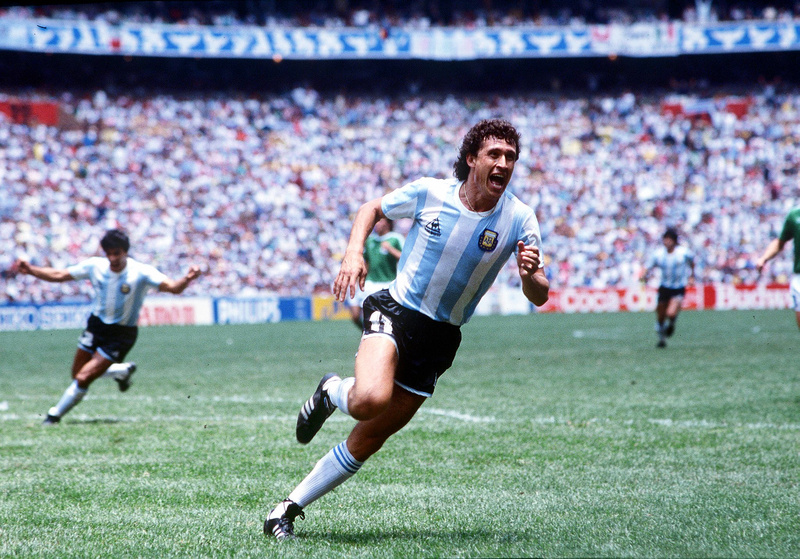 He’d announced himself on the world stage in the summer in between, scoring five goals in Mexico at the 1986 World Cup, four of them in one match against Denmark. “It was like a one-on-one match between me and him,” the Danish goalkeeper Lars Høgh suggested afterwards. Back home, Butragueño was the man of the moment, with his father’s shop receiving so many calls the day after the Denmark victory that the store manager labelled it a “disaster for the business”. Back at club level, he, his fellow youth graduates, Sanchéz and World Cup-winner Valdano retained their league title, beating Barcelona to the finish line in a bizarrely-formatted championship which was split into three groups for the final stretch. This time Butragueño upped his LaLiga goals tally to 11, while he took another tiny step the following season, hitting 12 goals. It was a goal in the Copa del Rey, though, that would live long in the memory, with the number 7 collecting the ball at the edge of the Cádiz penalty area before tip-tapping his way past two defenders and the goalkeeper, as unpredictable as a shopping trolley with a rogue wheel, jittering a tightrope along the byline to walk the ball into the net. That may be his most famous goal, but it was anything but a one-off, as he time and again put the ball in the back of the net with the kind of grace that the Spanish game had rarely seen before. Asked to play Frankenstein for a moment and construct the perfect player, he explained that he would need to have the eye for goal of Hugo Sánchez, but that he’d also need the intelligence of Johan Cruyff, the speed of Paco Gento, the dribbling of Diego Maradona, the aerial prowess of Santillana, and the confidence of José Antonio Camacho. 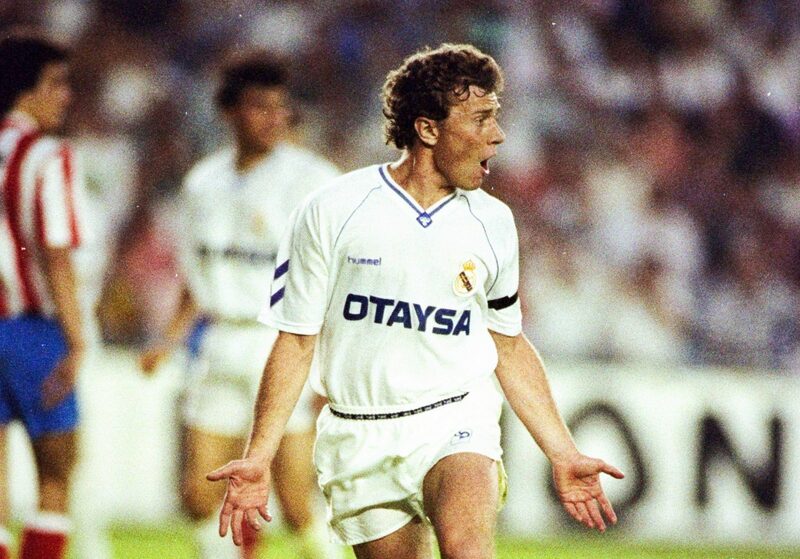 While the player he described was imaginary, Butragueño wasn’t far off from being its living embodiment. Blessed with this unique talent, Real Madrid had gone on to win five league titles in row, something they had only done once before and have not done since. In fact, no Spanish team has. The capital side won their five back-to-back championships in convincing fashion too. At the beginning of the 1987/88 season, they came out absolutely flying, defeating Cádiz 4-0 on the road and then smashing Sporting Gijón 7-0 at home. New Atlético Madrid president Jesús Gil claimed that this was a fluke and that Los Blancos wouldn’t be able to net seven again. Just six days later they won 7-1 at Real Zaragoza. It was all too easy and the only season in which there was any semblance of a title race was in 1986/87, when they beat Barça by three points. Eventually, though, domestic success did not quench the thirst. Butragueño’s Real Madrid were clearly the best side in Spain, but could they thrill on the continent in the same way? Ding, dong, ding. “Final call for all passengers travelling to Sydney, that’s a final call for all passengers travelling to Sydney.” Ding, dong, ding. “Hey Manolo, should we get on that one?” Butragueño joked to his teammate, only half-kidding. They and their Real Madrid colleagues were instead booked onto a flight from Eindhoven to Madrid, and they were not looking forward to the prospect of returning to the Spanish capital empty-handed, with no ticket to the European Cup final to show the expectant fan base. As much as the Quinta del Buitre went on to claim five consecutive LaLiga titles, they never won a European Cup, the trophy which has defined Real Madrid ever since they triumphed in the first edition back in 1956. By 1966, Real had won the tournament six times, but they had not lifted Ol’ Big Ears since, and the supporters were growing impatient. It was now 1988 and Real boasted their best squad in a generation, so now was the time to return to Europe’s throne. They’d had their Big Bang moment; they just needed to wipe out all dinosaurs in their path. PSV’s Hans van Breukelen had other ideas, though. Real Madrid had already knocked out Maradona’s Napoli, defending champions Porto and the previous year’s runners-up Bayern Munich en route to the 1988 semi-final. Understandably, they travelled to Holland full of confidence, even after drawing 1-1 draw at home in the first leg. Yet they came up against a goalkeeper in inspired form, with Van Breukelen thwarting half a dozen clear Spanish chances to make 6 April 1988 the worst night of Butragueño’s career, according to the striker himself. The second leg duly finished 0-0 and the Dutch side advanced on away goals, winning the final against Benfica on penalties after another goalless draw. With an average of just one goal per game and with no wins inside 90 minutes from the quarter-finals onwards, PSV became one of the least exciting European champions ever. At least they became European champions; the Quinta del Buitre never did. In the end, Butragueño didn’t flee to Sydney and instead returned to Spain to lift another LaLiga title, before he and his Real Madrid teammates gained some revenge for that Dutch humiliation the following season, knocking PSV out in the quarter-finals as Butragueño scored one of the goals in the 3-2 aggregate victory. However, they came up against an even scarier opponent in Arrigo Sacchi’s AC Milan. This time the semi-final wasn’t even close, as the Italians tore Real Madrid to shreds at the San Siro, winning 5-0 and claiming a 6-1 aggregate victory. The following season, the last in their five-in-a-row LaLiga run, they were put out by the Milanese again. The arrival of the 1990s marked the beginning of the end for the Quinta del Buitre generation, with Cruyff’s Barcelona set to win four consecutive league titles of their own and with Milan going on to reach four European finals in five seasons. It was pure bad luck that this talented and mesmerising Real team happened to coincide with two of the greatest clubs sides in continental history, as they could have won so much more otherwise, both domestically and, more importantly, in Europe. 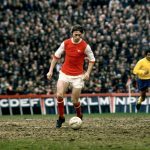 Back in the 1980s, he even remarked that he and his teammates should stop winning the league so often and so easily, so that their fans would value it more and appreciate what a feat it truly was. With time, Madridistas have indeed come to realise the true greatness of the Quinta del Buitre, and of course they’ve come to realise the greatness of the man who lent his name to the team – Emilio Butragueño. All good things must come to an end. In the summer of 1994, Real Madrid hired Butragueño’s former striker partner Valdano as coach, just a year after his Tenerife side had defeated Los Blancos 2-0 on the final day to deny them another league title. El Buitre missed four clear-cut chances that day in the Canary Islands and Valdano had been afforded a front row seat. When he took over at the Bernabéu, the legendary number 7 was not in his plans. Even though Valdano’s great friend and rival Cruyff had remarked that Real Madrid’s starting XI should always be Butragueño plus 10 others, Valdano wasn’t convinced and only played Butragueño for 171 LaLiga minutes, as Real Madrid reclaimed the title for the first time since the Quinta del Buitre’s last in 1989/90. At the end of that 1994/95 season, it was clear that there was now some friction between the still-striker and the striker-turned-coach. This was the 1990s, though, and anything was possible, even a live television interview between the pair. Butragueño appeared alongside Valdano on Spanish television show Un Paseo Por El Tiempo – A Walk Through Time – in an episode dedicated to the Spanish footballing legend. Even though the Argentine’s Real Madrid side had just taken part in a summer friendly against København, he sat down and was video-feeded into the studio to chat about Butragueño’s career and to explain exactly why he was no longer deemed good enough for Real Madrid. It was more candid than any ESPN or Match of the Day debate seen in the 21st century. It was also honest and to the point, with Valdano telling the audience that benching an ageing club legend had been a hard decision for him, but that he knew it was even harder for Butragueño to deal with. Valdano, though, clearly admired his former teammate and this came across in that interview, while the fact he’d even taken the time to speak for this Butragueño special said a lot. Valdano, one of the best football writers and pundits around, even wrote that “to back Butragueño is to reinforce an attitude and is like choosing between fear and daring, between boredom and happiness and between muscle and talent”. He obviously loved the style with which Butragueño played, but clearly had no place for a 32-year-old striker in his side, at the same time as a young Raúl was breaking through and ready to inherit the number 7 shirt. Butragueño wanted to stay at the club of his life. Even if he’d been told there was no place for him, like a dog who returns to his vomit, he’d have wanted to go back anyway, Ultimately, however, the decision was made for him, so he departed for Mexico with Club Celaya. 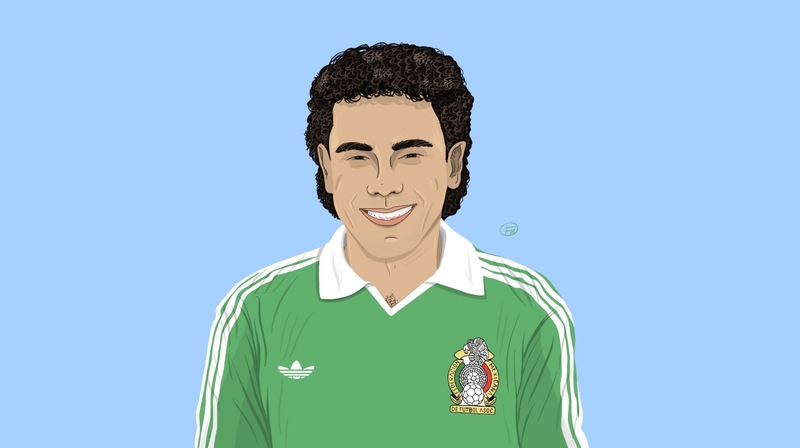 While he had been linked with a move to Japan, which was even stranger at the time than it would be now, he ultimately decided to join forces with former teammates Míchel and Hugo Sánchez in the Mexican league. 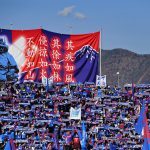 He scored 29 goals across three seasons there, leaving such an impact that the club ultimately tried to rename their stadium after him, a request which was denied by the local government. Eventually, in 1998, at the age of 34, Butragueño decided to hang up his boots. He did not, however, abandon the sport of football. He had always been a smart man and had always spoken about the importance of education, with the striker himself having studied business sciences. He even took an MA in Sports Management after his time in Mexico and then brought that knowledge back to the Spanish capital, when he proved that he had no significant issue with Valdano by agreeing to join his directorial team at the Bernabéu in 2001. “My wife always said that when I retired I’d have more time for my family, but the fact is that I’ve got even less now,” he joked to FIFA. Nowadays he is Real Madrid’s director of institutional relations, and it is the perfect role for him. Butragueño was never one for indulging the media, nor was he ever a confrontational type, as evidenced by the fact he only ever collected five yellow cards during his time at Real Madrid. He even practiced yoga, so was never really going to be a fiery director. His current role, therefore, is perfect for him, as he can throw cold water on any artificial fires created in the Madrid media, while also boasting the respect only bestowed on true club legends.